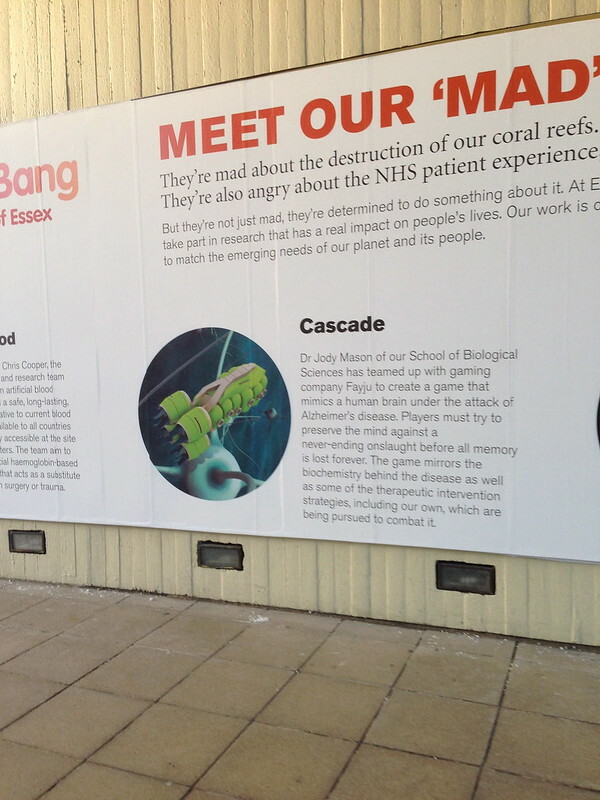 Last Tuesday we showed Cascade at the Big Bang Fair in Essex. Prince Charles was there too, no kidding, but, Alas he didn’t want to put and oculus on his face… Understandably. 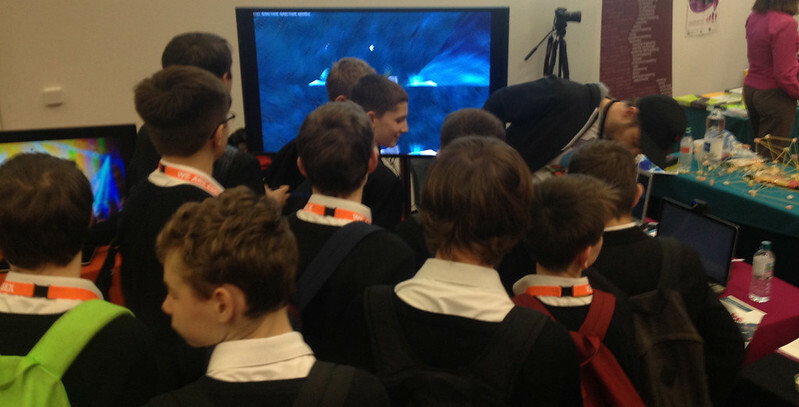 But loads of kids tried Cascade on the Oculus there were queues all day and the reaction was very positive. I really enjoy doing the Big Bang Events. Big Bang Fairs are events where kids can, not only learn about the importantance of science in our society, but also engage directly with all manner of different forms of science. We were there to show Cascade. 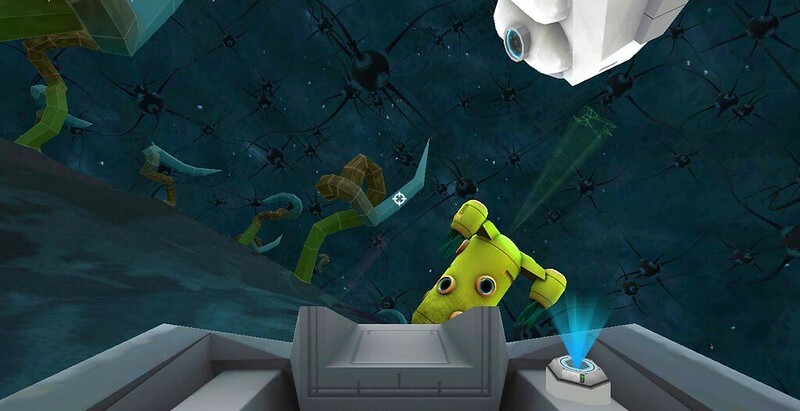 Cascade is our evolving brain cell defence game, designed to raise Awareness Alzheimer’s Disease and promote the importance of research through engaging and fun Gameplay. BioChemistry lends itself naturally to game environments and gameplay systems. 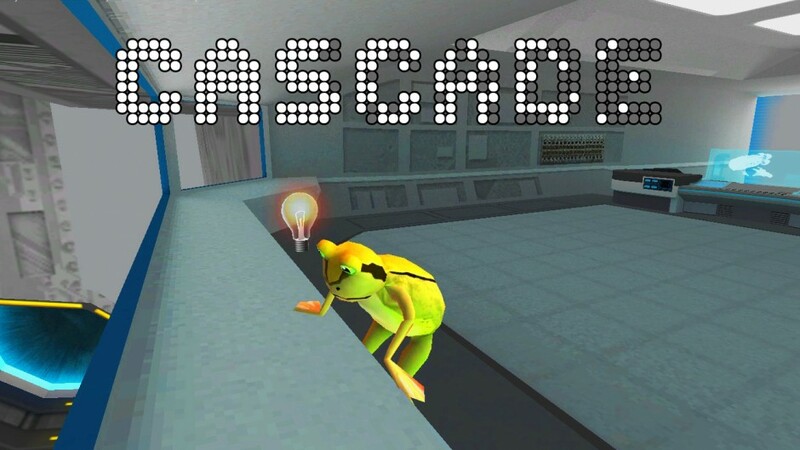 We are now on the 4th iteration of Cascade and this one is the best so far. We are very excited about it as its all starting to come together. This 4th iteration of cascade was focused purely on playability. You start in the flight ship and are launched directly onto the brain cell. Scattered around the brain cell are lots of tree like structures which represent a protein called APP Strands, a product of the brain cell. Also emitting from the braincell are 3 different coloured ships, Blue – Beta Secretase, Green – Alpha Secretase and Red – Gamma Secretase. These fly around the braincell seeking out the APP Strands where they cut them. If the middle section of the strand,represented but a yellowy brown section is not cut but broken off , then it can combine with other middle sections. This middle section is called A-Beta. It A-Beta self associates then these giant clusters called “Plaques” are formed and these structures play a major role in the destruction of a brain cell. Your activity in the Cascade mirrors the actually therapeutic interventions that research scientists are exploring in the fight against Alzheimers Disease. You are given the ability to destroy or “block” all secretates to prevent them from cutting strands, to produce synthetic “Alpha- Secretase” to destroy more A -Beta and if all else fails the ability to smash the plaques away in order to protect the brain cell. 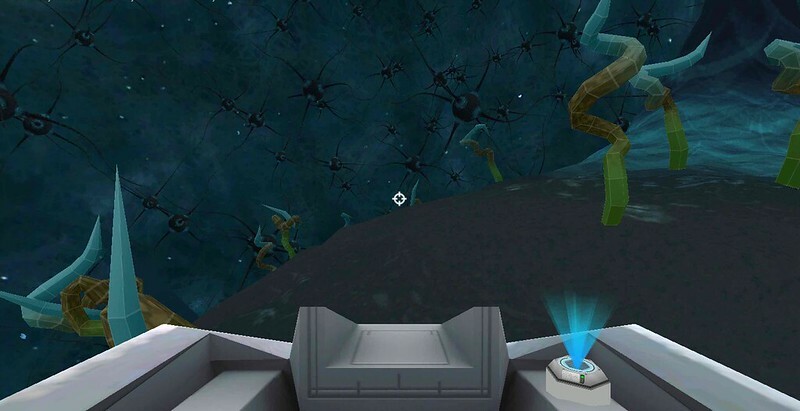 It has taken us some time to gain an understanding of the theory behind game called “the Amyloid Cascade Hypothosis” and it is important that this theory is expressed through the game play and systems that the player engages in. 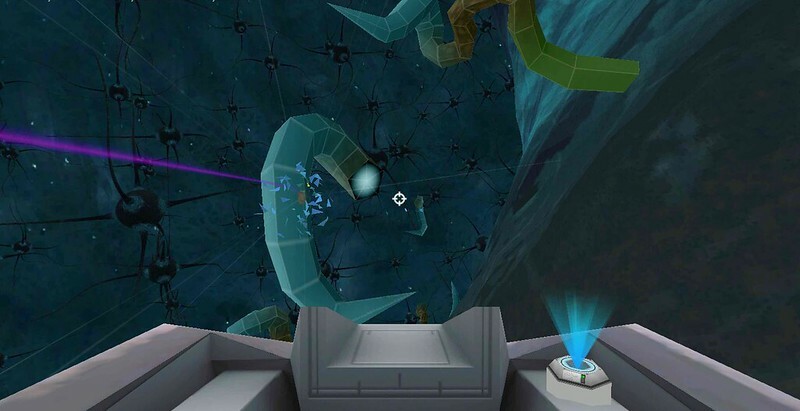 There is a danger that the game is just seen as an abstract shooting game in its current state. This is mainly why I have chosen not to release it anywhere until this can be rectified. However, accompanied by Dr Jody Mason while the kids, parents and teachers are playing it becomes a powerful learning tool. Honestly, its is a joy watching him explaining the science with such ease. 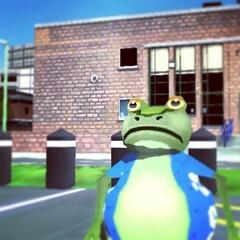 Our next step before we release the game is to integrate Jody directly into the game and we are looking at how we might do that. What being at Big Bang Fair in Essex has done is renewed my enthusiasm for Cascade and what it is that Jody and I had planned to do all those years ago. Use games for something positive. We are now preparing for the huge Big Bang Fair in the NEC in March, hopeful that I can afford to put the show on. This will be the 5th iteration of Cascade and will feature more integration of Jody and networked co-op gameplay.